Sunshine and a few afternoon clouds. High 61F. Winds SSW at 5 to 10 mph.. Partly cloudy early followed by cloudy skies overnight. Low 39F. Winds ESE at 5 to 10 mph. Montana head coach Travis DeCuire looks on and grins after being asked a question at a press conference the day before the Grizzlies faced off against Michigan in the NCAA Tournament in Des Moines, Iowa. 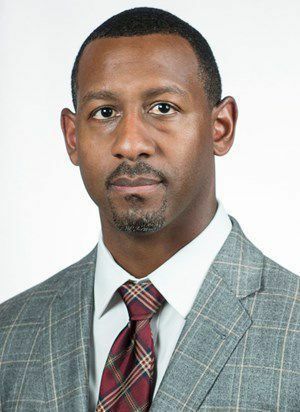 Montana announced Monday that DeCuire signed a new three-year contract to remain as the school's men's basketball coach. MISSOULA — It's official: Travis DeCuire isn't going anywhere. The Montana men's basketball coach has agreed to and signed a new three-year contract which was announced by the school on Monday. DeCuire's new contract goes into effect on July 1 and ends June 30, 2022. The three-year deal DeCuire signed a year ago is now terminated and replaced by this new contract. A three-year contract is the maximum length Montana can offer. Two weeks ago 406mtsports.com reported that Montana and DeCuire were finalizing this deal. "We certainly appreciate the work he's done here. We know other schools are interested in him so keeping him at his alma mater means a lot to us," Montana athletic director Kent Haslam told 406mtsports.com. "We want to keep him for as long as we can." According to a copy of the contract, DeCuire's base salary jumps from $175,000 to $180,000. DeCuire's new deal includes many incentives depending on the performance of the team in the classroom and on the court. If his team achieves a cumulative grade point average of 2.90-2.99, DeCuire receives a $2,000 bonus while each of his three assistant coaches earns $500. If UM's GPA is 3.00-3.09, the bonuses are $3,000 and $750, and a 3.10 or higher GPA earns DeCuire $4,000 and each assistant $1,000. If Montana maintains a four-year average academic progress rate score of at least 950, DeCuire earns $2,500 and each assistant earns $500. If Montana's graduation success rate is equal to or higher than the overall Division I men's basketball GSR rate, DeCuire earns $5,000 and each assistant earns $1,000. If UM's most recent academic progress rate shows no "0-for-2 men's basketball student-athletes" DeCuire earns $1,000 and each assistant earns $250. If Montana maintains or increases attendance, DeCuire earns $2,500. Last year the Grizzlies averaged 4,324 per game, the highest it has been since 2012-2013. If DeCuire attends all "reasonably requested" athletic and school functions, he will earn $30,000. If DeCuire wins the Big Sky Conference coach of the year award, he earns $5,000. If the Grizzlies finish the regular season as conference champions or co-champions, DeCuire earns $5,000 and each assistant earns $2,500. If the Griz win the Big Sky Conference tournament or are selected to the NCAA Tournament, DeCuire earns $15,000 and each assistant earns $5,000. If Montana is selected for the National Invitation Tournament (NIT), DeCuire earns $5,000 and each assistant earns $2,500. If Montana makes it to the semifinals of the NIT, DeCuire earns $5,000 and each assistant makes $2,500. If Montana wins the NIT, DeCuire earns $5,000 and each assistant earns $2,500. If Montana plays in the First Four of the NCAA Tournament and wins, DeCuire earns $5,000 and each assistant earns $2,500. If Montana plays in the first round of the NCAA Tournament, DeCuire earns $15,000 and each assistant makes $7,500. If Montana wins a game in the second round, Sweet 16, Elite Eight, Final Four, or wins the national championship, DeCuire earns $25,000 and each assistant earns $12,500 per win. DeCuire's contract also includes a retention incentive. If DeCuire is employed with Montana on July 1 of each year of the contract, he will earn an additional $50,000. DeCuire also receives a monthly automobile stipend of $500. DeCuire is also required to generate a minimum of $86,000 in guaranteed game revenue. This past season, Montana earned $100,000 by playing Creighton and $95,000 in a game against Arizona. After reaching that $86,000 threshold, the next $120,000 earned in guaranteed games goes to DeCuire as a bonus. The $30,000 after that goes to assistant coaches as a bonus. Then, the following $100,000 generated after that goes to DeCuire as another bonus with the next $15,000 after that going to the assistants, totaling up to a maximum $265,000 in bonuses that can be achieved after that minimum of $86,000 is met. Any money generated after that $265,000 above the minimum will go back to the athletic department. DeCuire's buyout is also included in the contract. If DeCuire leaves the University of Montana for any reason other than "retirement, death, disability or incapacity" he owes the school $180,000 (his base salary) multiplied by each remaining year on his contract. Montana went 26-9 this past season, winning the Big Sky Conference regular-season and tournament titles for the second straight year. DeCuire joined former Griz coaches Wayne Tinkle and Larry Krystkowiak as the only UM coaches to take the Griz to back-to-back NCAA Tournament appearances. Montana fell to Michigan 74-55 in the opening round. In five years at the helm of the Griz, DeCuire is 109-58 overall and 71-21 in Big Sky play. During that time, Montana has played in four conference tournament championship games, winning the last two. He is also the first coach to win three Big Sky regular-season titles with the Griz. "We certainly appreciate the work he's done here. We know other schools are interested in him so keeping him at his alma mater means a lot to us. We want to keep him for as long as we can."